A lot can happen in 50 years. From humble beginnings as a sidewalk art show, the Space Coast Art Festival has evolved and matured into one of Florida’s premier juried art festival featuring 250 artists displaying work in 10 categories of art. In order to be accepted for the show, artists must submit representative samples of their work which is then juried by a panel of art professionals and museum directors. Only those artists judged to be the best are allowed to exhibit at the festival and compete for over $50,000 in cash prize awards. Prizes are awarded for the top 10 male finishers, the top 10 female finishers, the top masters male and female runners and the top Turkey 10 lb. Team. Special prizes are also awarded for best costume. “Encouraging runners to run in costume and having the Turkey Teams sets us apart from other 5K races” White says. “It adds a fun element both for the runners and the spectators.” The Turkey Trot commences at 7:30 am from the Baliwick Mall in Cocoa Beach and is open to runners and walkers of all ages and ability. The juried artists will display and sell their work in downtown Cocoa Beach on Saturday, November 30th from 9:00 a.m. to 5:00 p.m. and again on Sunday December 1st from 10:00 a.m. to 5:00 p.m. with the award winners announced on Sunday. Categories of art for the main show include oils and acrylics; watercolors; drawings, graphics, collages and printmaking; clay; sculpture; photography; glass; jewelry and leather, fiber, paper and wood, and mixed media. With Thanksgiving coming late this year, the Space Coast Art Festival provides a great opportunity to get that perfect, unique Christmas gift. The art festival features a “Young at Art” children’s craft and entertainment area with free hands-on crafts, and face painting. Food and drink vendors will be present throughout the show and in the food court located by the festival stage. Additionally there will be live music performing on two stages throughout the festival. Free shuttle bus service is available commencing at the Cape Royal Building parking lot located at 1980 North Atlantic Avenue, Cocoa Beach. 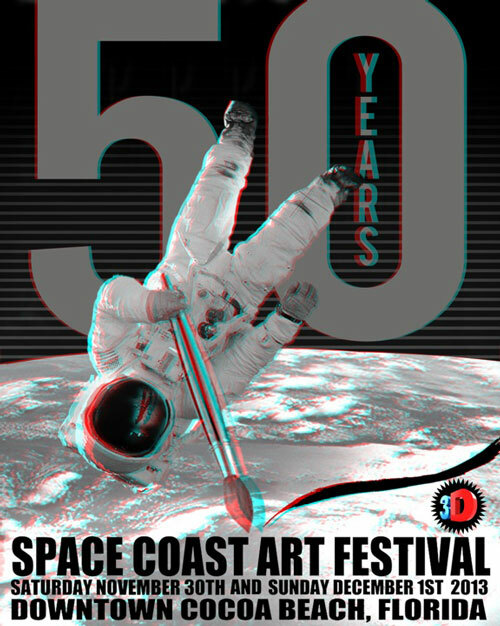 For further inquires regarding the art festival you may call the art festival office at 321-784-3322, visit our website at www.spacecoastartfestival.com or email us at info@spacecoastartfestival.com. 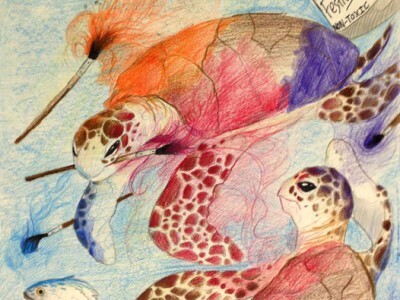 The Space Coast Art Festival is sponsored in part by the Brevard County Board of County Commissioners through the Brevard Cultural Alliance, Inc. 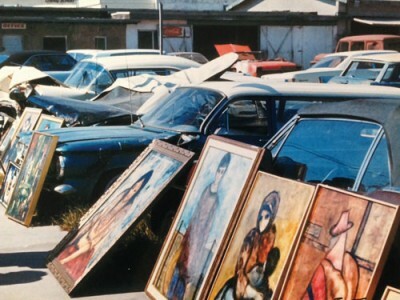 In 1963-64, a group of local artists headed by Virginia Valuzzi and members of the business community organized what was then known as the “Cocoa Beach Sidewalk Art Show”. Click to read more and view photos.